Scan N Cut "Out of the Box"
This class will begin by opening your Scan N Cut and identifying all the goodies that are packed inside. 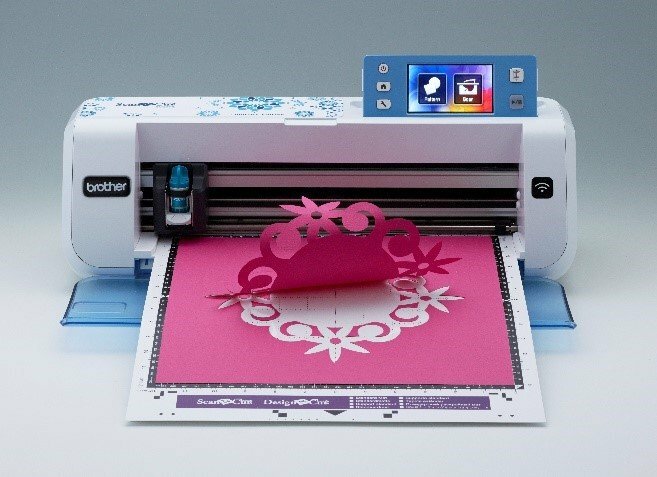 We will also introduce cutting designs on different textiles: craft vinyl, Heat Transfer Vinyl and Cardstock. I will walk you through how to make a personalized water bottle, a special card using your Brother Canvasworks software that comes with your Scan N Cut and a tea towel. There is also a $6 kit fee payable to the teacher on the day of the class.